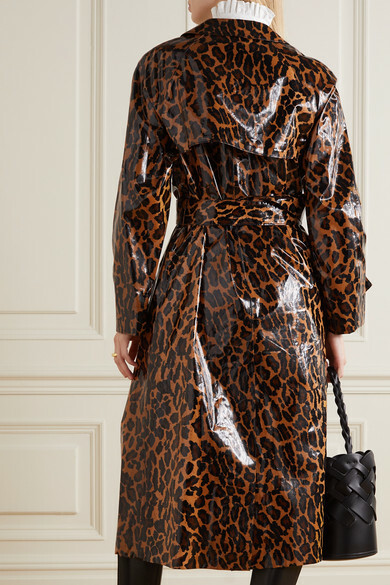 The only time we'd wish for rain is to have the opportunity to wear Miu Miu's leopard-print trench. 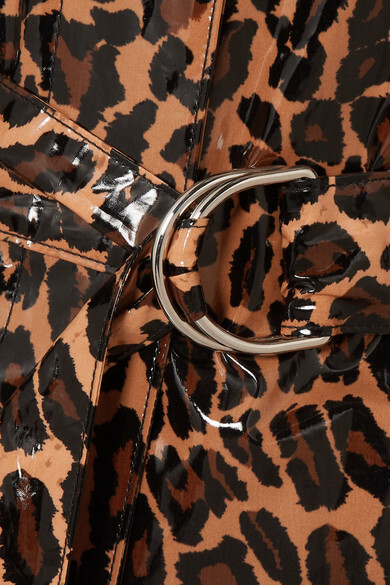 Cut from glossy PU-coated cotton that's lightweight and totally waterproof, this glamorous style has buttoned tabs at the cuffs and a D-ring belt to cinch your waist. It's a great layering piece for days when the weather varies too - there's plenty of room underneath for a cozy knit. 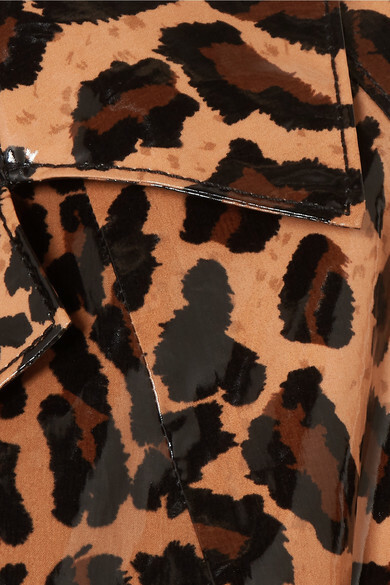 Play up its '60s bombshell appeal by styling with white ankle boots and a cat-eye flick. Shown here with: Isabel Marant Sweater, Miu Miu Skirt, Elizabeth and James Bucket bag, Wolford Bodysuit.